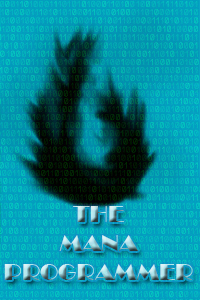 welcome to my web novel page, you can find the projects I’m working on below. 20/11/2016 – fell out of the writing flow. decided to rewrite everything to get back into it. re:prologue should be done in a few hours. 16/08/2016-this might take a while longer, i realize it was too much to try to fit so much in one chapter, i am in the process of rewriting most of it because I’m not satisfied with the flow of the story. 14/08/2016-chapter 6 of The mana programmer might take me an extra day or 2. this chapter turned out to be longer than expected. i would have usually split it in 2 but i don’t want to keep you guys waiting for 2 long so I’ll just release an extra long chapter. just need a bit more time. haven’t slept much lately either. the story of a man living a lonely life because he is able to see things others cant. devoting himself to study so others can see what he sees, he finds himself in a new world. trying to survive in a medieval world ruled by magic he needs to learn to control this new force with the help of modern science.